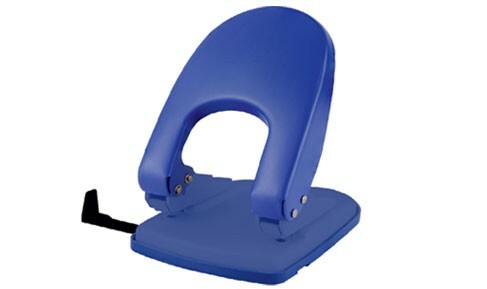 Medium size 2 hole punch with contemporary design. Comfortable handle for easy punching. Punches with an 80mm center distance. Guide bar for punch positioning to align papers easily.